On Friday 28th September, Minister Counsellor Yongli Wang from the Embassy of the People's Republic of China visited the University of Kent. During a meeting concentrating on research he was greeted by Deputy Vice-Chancellor for Research & Innovation Professor Philippe De Wilde, with assistance from Dr Caroline Li of the School of Computing. Professor Shujun Li was invited to give a presentation about the Kent Interdisciplinary Research Centre in Cyber Security (KirCCS) and School of Computing to the Minister, and Professor Ian McLoughlin was also in attendance. 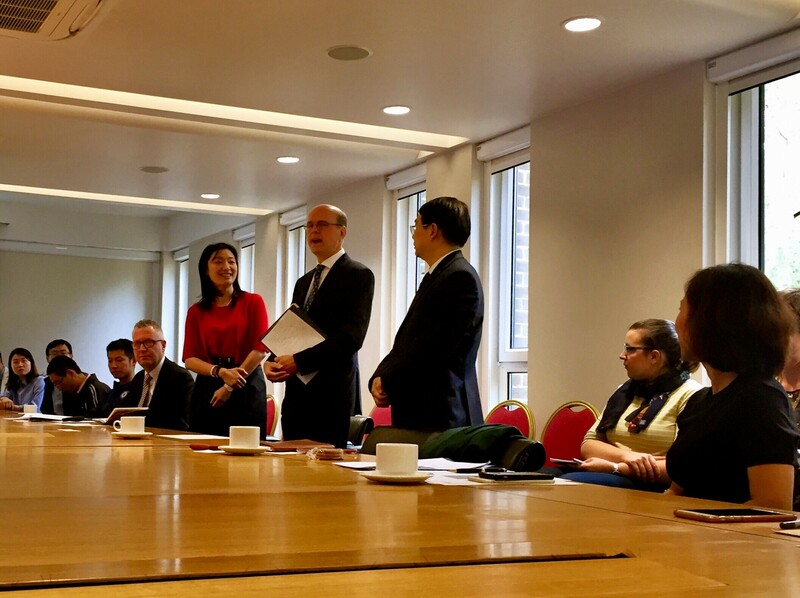 The meeting celebrated the excellent links between the University of Kent and China that already exist, and considered methods of further enhancing those activities in the future.